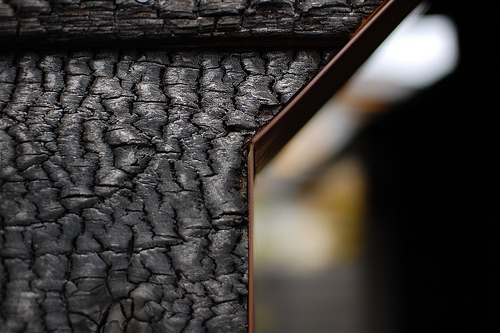 The Hip Subscription: Shou Sugi Ban - Heard of It? 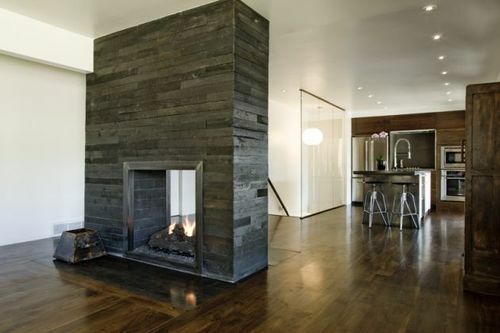 Shou Sugi Ban - Heard of It? 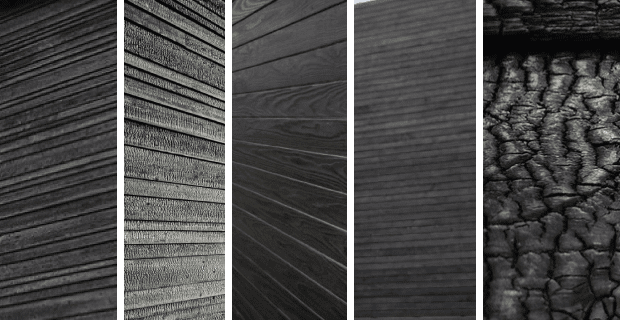 What is Shou-Sugi Ban you ask? 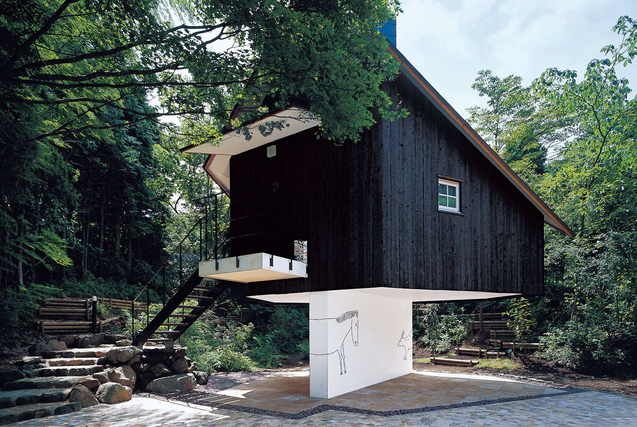 Well...it is an ancient way the Japanese have used for protecting their homes from rot, infestations, and water damage. The Coles Notes version of it goes like this: get some Sugi (Japanese Cypress, often called Japanese ceder), burn it with a torch; gently sand, rubbing the char and ash into the grain, let dry, and coat with an natural oil based coating. As you can see by the close-up above, it has a "my house was just victimized by an arsonist" sort of look, but when looked at over the scale of an entire structure, it looks very, very cool. We think it would make a great feature wall inside a home, or even a piece of furniture (like a wooden chair or coffee table). Funny thing, our introduction to this was actually in Vancouver, by Rob Lo, the owner and proprietor of the fantastic Gastown clothing store Roden Gray. In the store's previous incarnation, almost all the display furniture was done in this fashion, and the room had a terrific vibe. We think there is an interesting weekend DIY project somewhere in here, albeit a dangerous one. More pics after the jump.